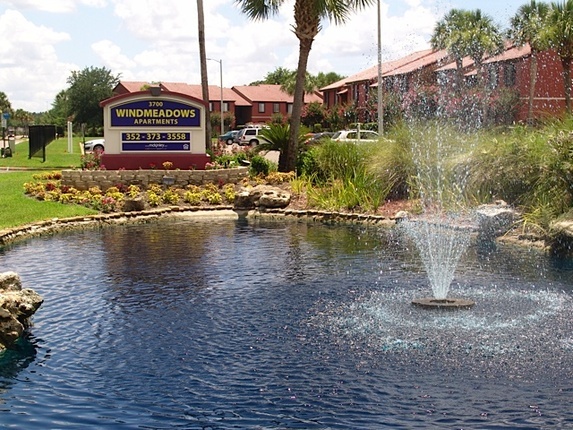 Windmeadows Apartments - Innovest Capital, Inc.
Windmeadows Apartments in Gainsville, FL is a Class B, 323-unit apartment complex located in Gainesville, Florida. The property is in southwest Alachua County, less than a half mile from the University of Florida main campus, and about 3 miles from downtown. Construction was completed in three phases ending in 1988. Completed in 2009, Windmeadows underwent a $4 million renovation of the unit’s interiors, exterior, common areas, landscaping and amenities.